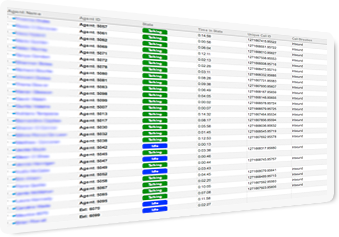 Bluwave Call Center allows agents and supervisors to monitor queues and agents' status in real-time. 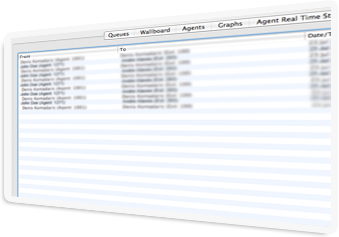 Agents can view real-time queue statistics on a large LCD screen. 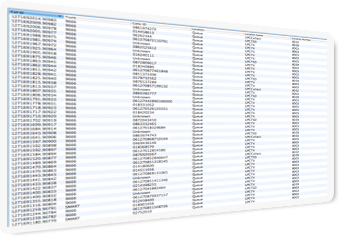 Supervisors, on the other hand, can monitor the comprehensive and detailed real-time statistics on agents. 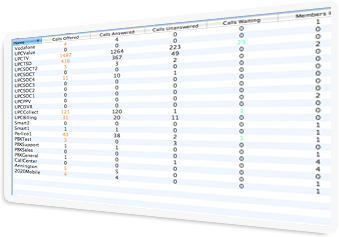 Supervisors can view all agent activity and hang-up and transfer calls as well as monitor queues, the number of calls waiting, agent status, etc. 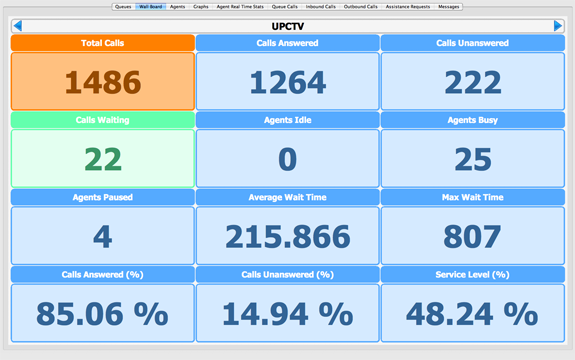 An entire organization can use the included wall board facility which displays major real-time call statistics on a large LCD screen. 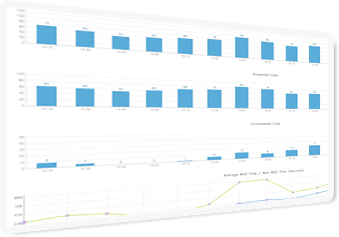 Bluwave also offers real-time graphs which show the above information graphically. Messages can be shared between agents and supervisors. 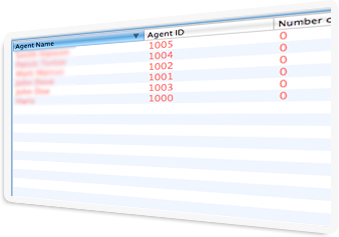 Agents can send assistance requests from Communicator which is another application used by agents. Blue Ocean offers a number of call center solutions ranging from informal call centers to highly sophisticated inbound and outbound multichannel contact center and unified communications and business process automation functionality. All of our solutions will help you gain a higher return on investment by providing the deepest level of customer service and the greatest efficiency in your organization. Innovation. Rapidly deploy powerful applications – now and in the future. We have a rich history of innovation and a solid roadmap to help you turn customer care into a competitive weapon. Integration. Many of our customers are highly invested in applications from Salesforce.com, QQ, Applied, Infusion Soft, Vertafore and others. That’s why we have focused on developing, enhancing, and maintaining a deep level of integration with CRM and UC applications – in addition to dozens of other front and back office applications (CRM, PBX, database, IP gateways). This allows you to maximize existing investments, increase agent efficiency, optimize screen space, and collaboratively extend the reach of the contact center to enhance the customer experience. Empowerment. Our applications have been deliberately developed to work together. 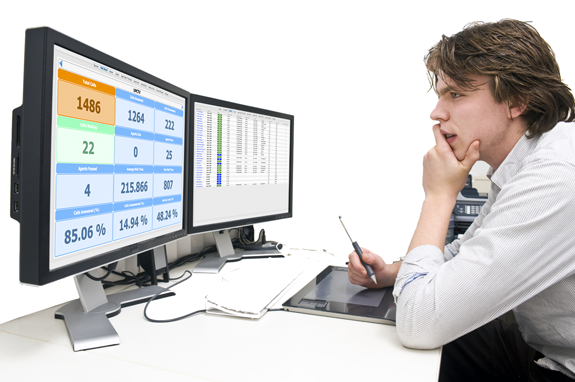 This allows our customers to administer, supervise and use our software from one single interface. This elegant simplification empowers the contact center to be more agile and have greater control over the customer experience with minimal IT involvement. Blue Ocean offers maximum flexibility to meet your specific business requirements. Choice. Every company is different and every deployment unique. Blue Ocean gives customers a distinct level of deployment flexibility, whether it's identifying where sensitive customer data resides or when updates and new functionality are implemented. Scalability. Though Blue Ocean supports volume environments, we can also power smaller, lower volume centers. Start at any level, and scale high or low as needed to sustain seasonal peaks and valleys and bolster corporate growth. You only pay for what you use. Globalization. Our services are available to you in many countries outside of North America, so if you have locations in APAC, EMEA, North America, and South America please contact us to discuss your solution. Customization. Blue Ocean is very sensitive to making our voice solution work with your software of choice. 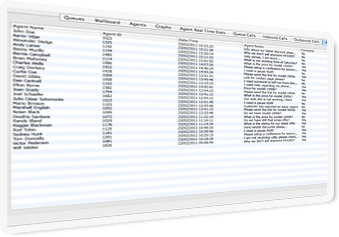 Through our API programmers can produce custom interfaces into your software. Screen pops, call logging, click to dial and call recording are some of the features that can be customized for customers. Ask our sales team or service team about integration into your systems. You can get a solution tailored to your specific business needs.